Going to trial is both expensive and the results uncertain. In most cases, the judge assigned to your case will not be familiar with the Court file prior to trial and will learn about you and your issues only during the trial. Prior to trial, most courts require that the parties attempt to settle their case through “mediation”. Mediation is a process in which an experienced and professional attorney or retired judge with both parties and their attorneys adding his or her evaluation of the positions taken by both sides. Mediation is non-confrontational and most often each party (and their attorney) have their own conference room and the mediator works back and forth not unlike shuttle diplomacy. The process is far less costly and offers the parties to participate in crafting solutions to their issues, rather than having the solutions dictated to them by a judge after trial. Mediation is confidential and offers made in compromise to settle the case cannot be introduced at trial if mediation is unsuccessful. Unlike arbitration, where the parties to a lawsuit introduce evidence and testimony before a designated arbitrator who makes a decision for the parties, mediation allows the couple to negotiate a settlement that they may both find satisfactory and to which they voluntarily agree. The mediator does not issue rulings or decisions, but instead will provide assistance to you and your counsel by evaluating each party’s case and providing insight into what might be the expected outcome from trial if the parties are unable to reach an agreement. As you anticipate the mediation process, you and your attorney have some documents to prepare. This will allow your mediator to better serve you, while also making the mediation process more efficient. Any other relevant documents to assist in resolving issues (an example might be a real estate appraisal if the value of the property is an issue). What does the process of mediation generally look like? There are several stages to a mediation process. The duration and look of these stages will vary from case to case, as your situation will never be identical to other’s case. The following, however, is an outline of the pattern that a typical mediation process will follow. During the mediation process, the mediator will meet with each party i(and their attorney) individually. This allows the mediator to build a relationship with each side. It gives you the opportunity to state your “side” of the case, what concerns you may have, and your issues and desires. The mediator will make every effort to understand your perspective and priorities. You will find that, during this stage, your mediator may ask you questions,in order to gain an understanding of who you are and identify your goals. During this stage of the mediation process, your mediator will work with both sides to make sure that all the issues are “on the table” and to begin portraying the perspective of one side to the other. It is important that each side has a clear understanding of the issues being brought forward by the opposing side. This will ensure that any differences in positions, values of assets or liabilities, etc, are known so that they may be resolved during the next phases. At this point, your mediator will provide you with his/her independent view of your case and the positions that you have taken, evaluating the strengths and weaknesses. The mediator does not represent nor act as an attorney for either side and therefore does not provide legal advice for how you should proceed—this is the responsibility of your attorney. Both sides will be expects, at some point in the process, to begin preparing and exchanging offers of settlement. The mediator will work with each side throughout this formulation, evaluating their offer and providing input on the issues. Potential costs and possible results from the trial will be discussed. If an agreement is reached, the mediator will (before the mediation is concluded) prepare a “binding” settlement to be signed by all parties and their attorneys. Our mediators have extensive personal experience in helping clients and attorneys prepare cases to trial before the courts in our area, in addition to knowing the judges. They have a clear understanding of the law that the judges will apply to your case. Their resulting evaluation, therefore, is purely to assist you make the best possible decisions, and is, in no way, designed to intimidate or force a solution upon you. While every mediation is different in terms of how much time will be involved, the complexity of the issues to be resolved, and the cooperation of the parties, the overall cost of a mediation falls far short of the costs of trial. One of the excellent benefits of mediation is the ability for each party to settle both legal and nonlegal issues with the guidance of their attorney and input and negotiating expertise of a mediator. This allows each party to fully address all issues and concerns regarding the divorce without the necessity (though this is optional) of direct contact with the other side. Everything discussed during mediation is not public record, but rather private between the spouses, attorneys, and the mediator. 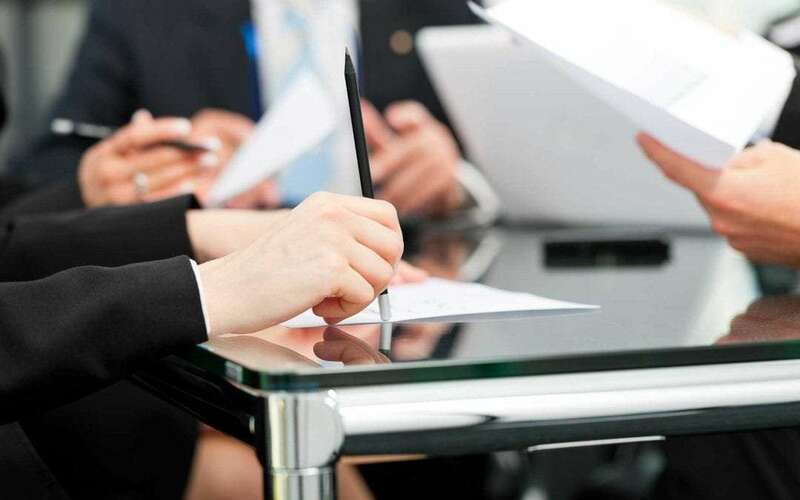 Settlement negotiations, offers of settlement, and all related information exchanged during the settlement conference or mediation meetings are considered fully confidential and cannot be introduced in court (there are few, rare exceptions). The mediator cannot be called as a witness to provide evidence upon the settlement offers. In addition to mediation’s cost effectiveness and efficiency, many people appreciate the privacy that comes from working out their differences behind closed doors, rather than in the public setting of an open courtroom. It is far easier to live with a settlement that you participated in crafting. Mediation is about resolving conflict between two parties in the most expeditious, effective, and confidential manner possible. Rather than relying on arbitrary court rulings, spouses that choose the mediation process are able to settle according to their own personal preferences and perceptions of what is ‘fair’. You and spouse are able to control the process and the settlement. By relying on the experience of a skilled mediator, each party can be sure of having quality assistance in finding a fair and reasonable resolution to their conflict. Unlike arbitration or litigation, a solution is not forced upon them, but instead agreed upon between them. A mediator encourages a forum that allows maximum client input in structuring the settlement agreement. While the mediator cannot institute a ruling on the case, they do help the parties create a written agreement which, once signed, will be fully enforceable in a court of law. Mediation has proven to be one of the most effective and peaceable ways to resolve conflict surrounding the dissolution of a couple’s marriage. The experience and negotiating skills of the mediator provide much needed insight and assistance on the process of divorce. Our mediators have extensive experience with the mediation process, and are committed to helping all clients reach an acceptable and reasonable resolution to their issues.